Many young kids who use toothpaste more than needed are at an increased risk of dental fluorosis when they get older, warns a new study. Fluorosis is a condition that affects the teeth caused by overexposure to fluoride during the first eight years of life. Fluoride is a mineral found in water and soil. More than 70 years ago, scientists discovered that people whose drinking water naturally had more fluoride also had fewer cavities. That led to the addition of fluoride to tap water, toothpaste, mouthwash and other products. However, the study showed that when teeth are forming, too much fluoride can lead to tooth streaking or spottiness or dental fluorosis. 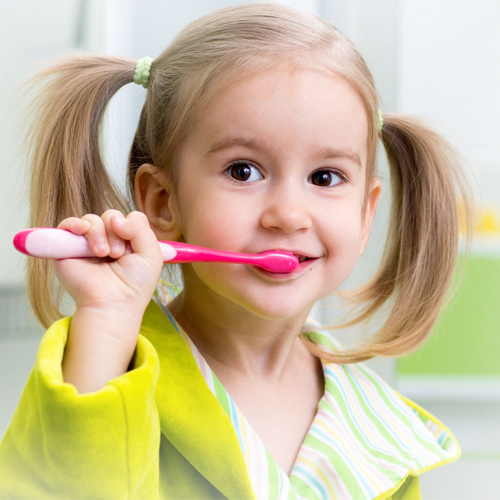 In addition, the study found that although experts recommend no more than a pea-sized amount, about 40 per cent of kids aged three to six used a brush that was full or half-full of toothpaste. "Fluoride is a wonderful benefit but it needs to be used carefully," Mary Hayes, a pediatric dentist in Chicago was quoted by Daily Mail.